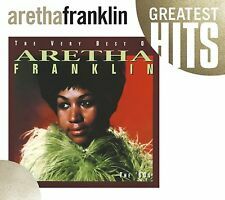 ARETHA FRANKLIN - The Very Best Of - Vol 1 CD *NEW & SEALED, FAST UK DISPATCH! Young Dumb & Broke - Khalid (3.22). Location - Khalid (3.37). Another Sad Love Song - Khalid (4.04). Saved - Khalid (3.28). Coaster - Khalid (3.2). 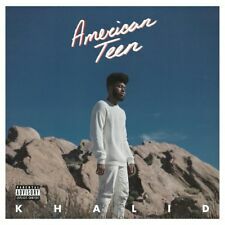 8TEEN - Khalid (3.48). Let's Go - Khalid. Hopeless - Khalid. Primary Artist: Various Artists. Format: CD. Ghetto: Misfortune's Wealth - 24 Carat Black. Philly Dog - The Mar-Keys. Candy - The Astors. What do I do?. What do I do if I have not received my order?. Once my order has been dispatched when will I receive it?. 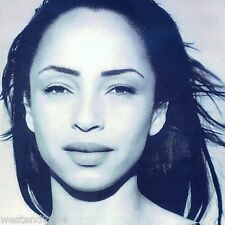 Artist - Sade. Title - Best Of Sade. Extra Info - Remastered. CD - New & Sealed. Kiss Of Life. Like A Tattoo. No Ordinary Love. Love Is Stronger Than Pride. Various Artists : Clubland 90s CD (2013)Title: Clubland 90s Artist: Various Artists Genre: Dance|Compilation Format: CD / Album Type: CD No. of Discs: 4 disc(s) Studio / Label: Universal Music TV UK Release Date: 23 Sep 2013. Up for grabs, Mariah Carey Without You / Never Forget You Australian CD Single. Never Forget You. CD like New. Without You. Zoom > 80s Groove - Various Artists (Box Set) [CD]. Pull Up to the Bumper - Grace Jones. I Found Lovin' - The Fat Back Band. Behind the Groove - Teena Marie. Hangin' On a String - Loose Ends. Product 80s Groove - Various Artists (Box Set) [CD]. Young Dumb and Broke. Cold Blooded. What Do You See In Her?. - Hot Sauce. 5CD ALBUM BOX SET. I Can't Shake Your Love (Can't Shake You Loose) - The Fiestas. How Can I Be A Witness - R.B. Hudmon. What A Man - Linda Lyndell. Gettin' Funky 'Round Here - Black Nasty. Jackie Wilson - Reet Petite - Two Original Albums (2CD 2009) Excellent Condition. Reet Petite. Jackie Wilson belongs in the first rank of Soul vocalists. I'll Be Satisfied. We Have Love. Love Is All. Various Artists : Old Skool CD (2016)Title: Old Skool Artist: Various Artists Genre: Dance|Compilation Format: CD / Album Type: CD No. of Discs: 3 disc(s) Studio / Label: Ministry of Sound UK Release Date: 04 Mar 2016. Release Year 2016. Style Doo Wop. Repress - 70's CD (2003)Title: Repress - 70's Genre: General|tbc Duration: 149 mins Format: CD / Album Type: CD No. of Discs: 2 disc(s) Studio / Label: Warner Strategic Marketing UK Release Date: 18 Aug 2003. Zoom > I Am. Sasha Fierce - Beyoncé (Platinum Album) [CD]. Third solo album from the R&B superstar which sees the introduction of her alter-ego Sasha Fierce. Product I Am. Sasha Fierce - Beyoncé (Platinum Album) [CD]. Dweller On The Threshold. Review: This CD is the best compilation of Van's songs available (in my humble opinion). The booklet is in excellent condition. Whenever God Shines His Light. Cleaning Windows. Sade : Soldier of Love CD (2010)Title: Soldier of Love Artist: Sade Genre: R&B/Soul|Female Vocal Duration: 41.43 mins Format: CD / Album Type: CD No. of Discs: 1 disc(s) Studio / Label: RCA UK Release Date: 08 Feb 2010. Various Artists : You Better Believe It! 2 CD (2006)Title: You Better Believe It! 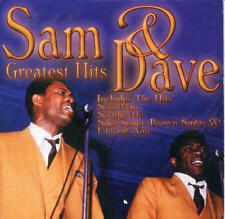 2 Artist: Various Artists Genre: R&B/Soul|Compilation Duration: 76.90 mins Format: CD / Album Type: CD No. of Discs: 1 disc(s) Studio / Label: Rhino UK UK Release Date: 24 Apr 2006. We recyle 99% of our waste. Various : R&b Love CD (2003)Title: R&b Love Artist: Various Genre: R&B/Soul|R&B Duration: 150 mins Format: CD / Album Type: CD No. of Discs: 2 disc(s) Studio / Label: Warner Strategic Marketing UK Release Date: 27 Oct 2003. Luther Vandross : Greatest Hits 1981-1995 CD (1995)Title: Greatest Hits 1981-1995 Artist: Luther Vandross Genre: R&B/Soul|Male Vocal Duration: 76.10 mins Format: CD / Album Type: CD No. of Discs: 1 disc(s) Studio / Label: Epic UK Release Date: 16 Oct 1995. Son Of Shaft - The Bar-Kays. I'll Run Your Heart Away - Ruby Johnson. Born Under A Bad Sign - Albert King. I Got To Be Myself - Rance Allen Group. (Do The) Push And Pull - Rufus Thomas, Jr. Pick Up The Pieces - Carla Thomas. Format: CD. Sale Corner. Classic Artists. So Amazing. Endless Love (Duet with Mariah Carey). JASON DERULO. EVERYTHING IS 4. TRADE HEARTS (FEAT. JENNIFER LOPEZ & MATOMA). BROKE (FEAT. STEVIE WONDER & KEITH URBAN). PAINKILLER (FEAT. ). TRACK LISTING 1. Hold On! I'm A Comin' 2. If You Got The Loving 3. I Take What I Want 4. Ease Me 5. I Got Everything I Need 6. Don't Make It So Hard On Me 7. It's A Wonder 8. Don't Help Me Out 9. Just Me 10. You Got It Made 11. You Don't Know Like I Know 12. Blame Me (Don't Blame My Heart) LABEL - WARNER (2013) CATALOGUE # 8122796208 FORMAT - CD ALBUM IN JEWEL CASE CONDITION - NEW & SEALED ( WITH JAPANESE OBI STRIP PACKAGING). A MUST HAVE FOR ALL 90'S CLASSIC R&B LOVERS. 34 - Az Yet - Last Night. 18 - After 7 - Ready Or Not. 23 - Mariah Carey - Always Be My Baby. 27 - Toni Braxton - Unbreak My Heart. 26 - R. Kelly - I Can't Sleep Baby. SOUL GROOVES. Soul II Soul ft. Caron Wheeler- Back To Life. VARIOUS ARTISTS. Earth Wind & Fire - Let's Groove. The Whispers - And The Beat Goes On. Loose Ends - Hangin On A String. Fatback Band I Found Lovin. Ms. Jackson - Radio Mix. Artist Various Artists Title Night Fever Release Date 1997-10-27 Label: EMI Records Number of Discs 2. ARETHA FRANKLIN. 20 GREATEST HITS. I Never Loved A Man (The Way I Love You). Do Right Woman, Do Right Man. Don't Play That Song. 100% ORIGINAL PRODUCT. Chain Of Fools. You're All I Need To Get By. Various Artists : Motown Anthems CD (2016)Title: Motown Anthems Artist: Various Artists Genre: R&B/Soul|Compilation Format: CD / Album Type: CD No. of Discs: 4 disc(s) Studio / Label: Universal Music TV UK Release Date: 19 Feb 2016. Various Artists : Original Northern Soul CD (2015)Title: Original Northern Soul Artist: Various Artists Genre: R&B/Soul|Compilation Format: CD / Album Type: CD No. of Discs: 2 disc(s) Studio / Label: Rhino UK UK Release Date: 06 Apr 2015. Artist: Bill Doggett. Title: Greatest Hits. Format: CD. Release Date: 2013. THE DEFINITIVE MOD CLUB ALLNIGHTER CLASSICS. VARIOUS ARTISTS. Wilson Pickett - Land Of 1000 Dances. 3-CD ALBUM SET. Small Faces - Tin Soldier. Archie Bell & The Drells - Tighten Up. Mitch Ryder & The Detroit Wheels - Break Out. Format: CD. Rare Collectables. Sale Corner. Various Artists : Rhythm and Booze CD (2005)Title: Rhythm and Booze Artist: Various Artists Genre: Blues|Compilation Duration: 69.40 mins Format: CD / Album Type: CD No. of Discs: 1 disc(s) Studio / Label: EMI Music UK UK Release Date: 28 Mar 2005. Various Artists : This Love CD (2005)Title: This Love Artist: Various Artists Genre: Rock/Pop|Compilation Duration: 155 mins Format: CD / Album Type: CD No. of Discs: 2 disc(s) Studio / Label: BMG UK Release Date: 31 Jan 2005. Artist: Roy Brown. Title: Greatest Hits. Format: CD. Item Condition: New and unplayed. Till the World Falls (Feat. Boogie All Night (Feat. NAO) - Nile Rodgers and Chic (3.3). Sober (Feat. Craig David & Stefflon Don) - Nile Rodgers and Chic (3.08). Do You Wanna Party (Feat. LunchMoney Lewis) - Nile Rodgers and Chic (3.22). ). We recyle 99% of our waste. We pride our selves on making sure the item you receive is at its best. Various Artists : Soul Grooves CD (2017)Title: Soul Grooves Artist: Various Artists Genre: R&B/Soul|Compilation Format: CD / Box Set Type: CD No. of Discs: 3 disc(s) Studio / Label: Universal Music TV UK Release Date: 01 Sep 2017. Artist: Wynonie Harris. Title: Greatest Hits. Format: CD. Item Condition: New and unplayed. Artist Billy Ocean Title Greatest Hits (French Import) Release Date 2004-10-25 Label: EMI Records Number of Discs 1. 1 13 Mystery Lady. 1 12 Tear Down These Walls. 1 11 The Colour Of Love. 1 9 Heres To You. Title: Classic Northern Soul. Key to My Happiness - the Charades. Artist: Various Artists. Mr. Creator - the Apollas. Agent Double-O-Soul - Edwin Starr. Take Your Love and Run - Various Artists. I'm Gonna Run Away from You - Tami Lynn.